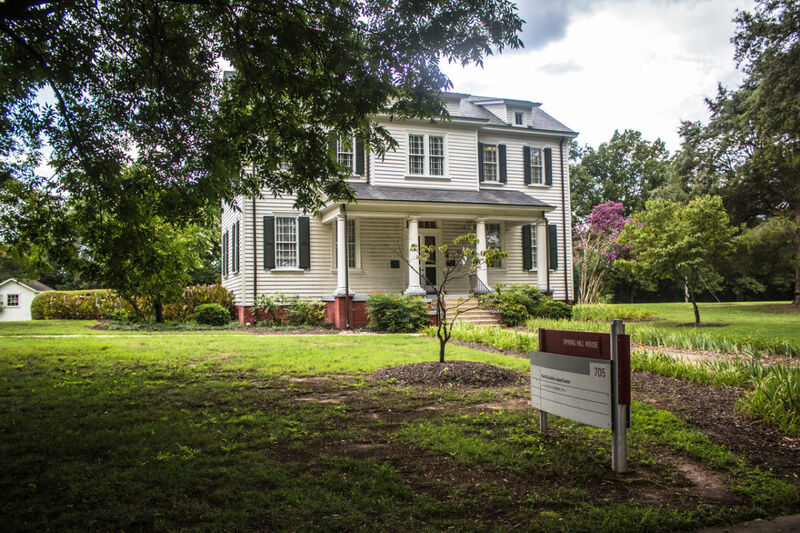 The Spring Hill House, part of North Carolina State University's Centennial Campus, currently houses the N.C. Japan Center. The house is a registered historic building, built about 1815 in the Georgian style as the main house of a plantation. 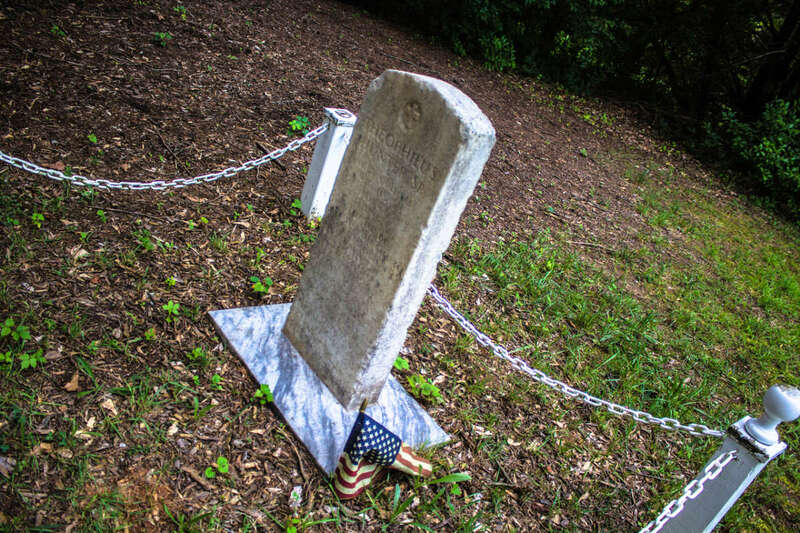 It stands on a rise southwest of downtown Raleigh, and the name refers to a spring of water arising at the foot of the hill. 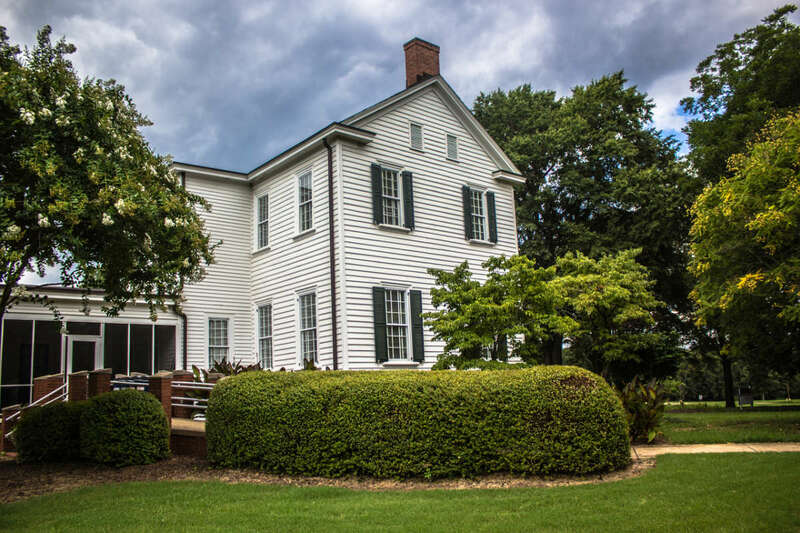 The Spring Hill House has undergone changes during its two centuries of existence. For example, it lost the second story of its original two-storied, Doric-columned porch, and the south wall lost two external chimneys and a direct entrance to the large parlor. It has also benefited from major repairs, including a major structural overhaul in 2000-2001. The house is open for your examination during N.C. Japan Center office hours. A more detailed account of its history and features, prepared while the building was in use by Dorothea Dix Hospital (and from which most of this account was compiled), is available in English upon request. It is an honor for the N.C. Japan Center to be able to carry on its services in this beautiful building, so closely linked to the history of N.C.